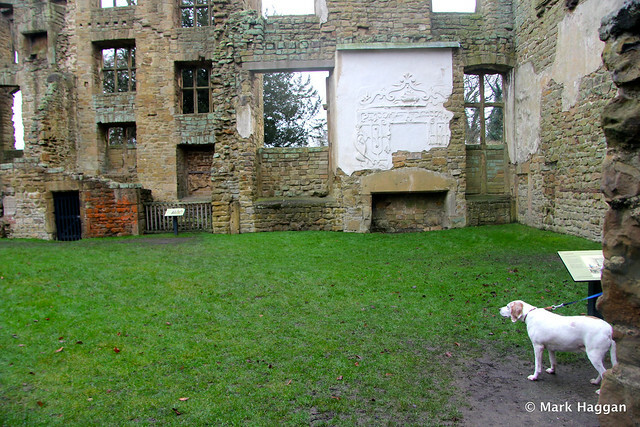 A few weeks ago, I headed off to Hardwick Hall in Derbyshire to both take Berta for a walk, and also to have a look around the hall, or rather halls. 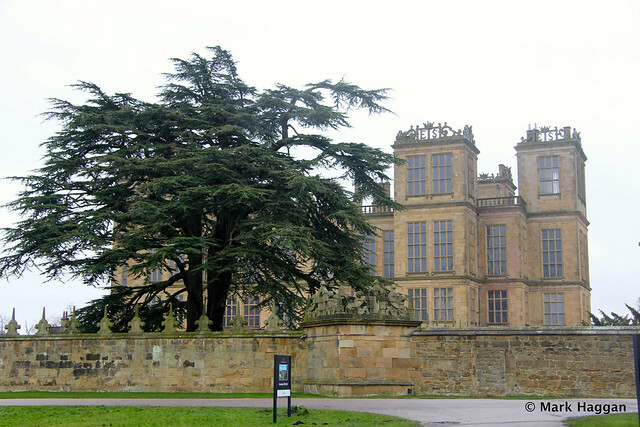 For those who are not familiar with the site, Hardwick Hall was the home of Bess of Hardwick, the most wealthy woman in Elizabethan England after the Queen herself. 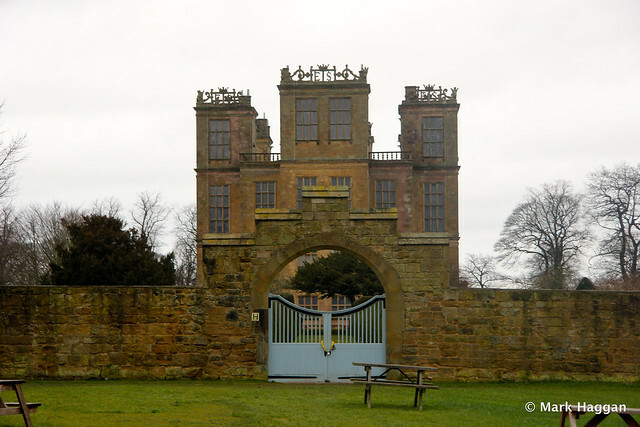 The site has two impressive buildings, Old Hardwick Hall- only slightly older than the New Hall – which is managed by English Heritage, and is in ruins, and Hardwick Hall, which was the newer residence, built between 1590 and 1597, and is managed by The National Trust. 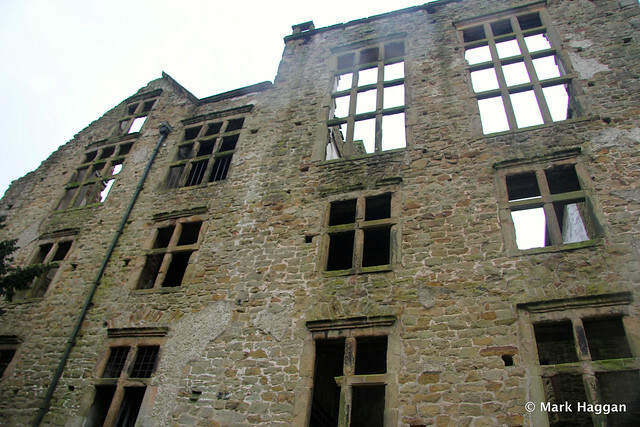 The Old Hall was used as guest and service accommodation after the newer hall was built. 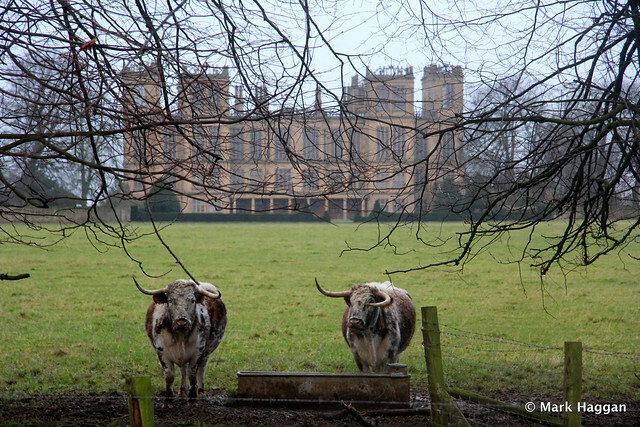 The hall was designed by Robert Smythson, who had been a stonemason in the construction of Longleat , and who had previously designed Wollaton Hall, now the home of Nottingham Natural History Museum. 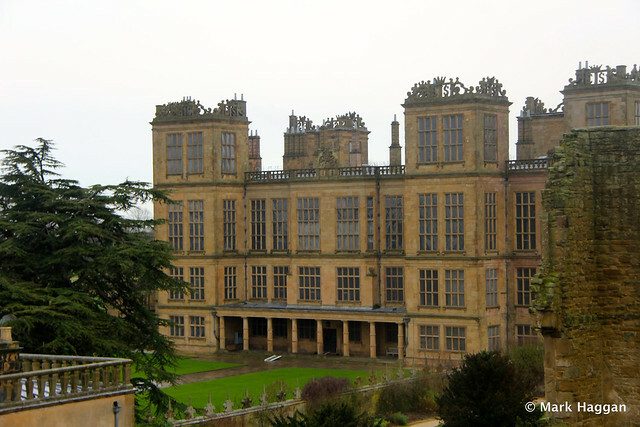 The Hall has a series of large “ES”, for Elizabeth Shrewsbury – or Bess of Hardwick – apparent on the building. 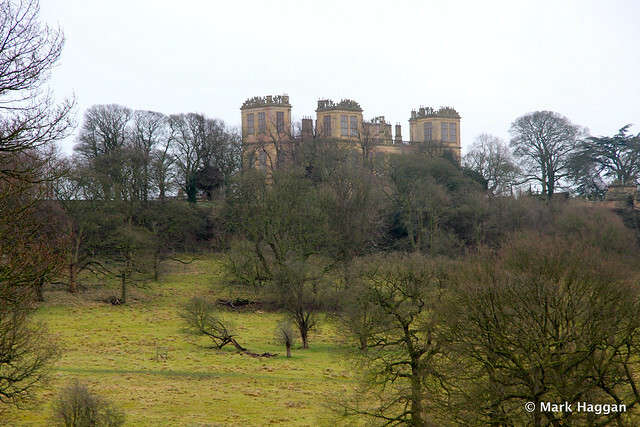 If the building looks familiar, then it might be from its various television and film appearances, such as being used as Malfoy Manor in Harry Potter and the Deathly Hallows parts 1 and 2. 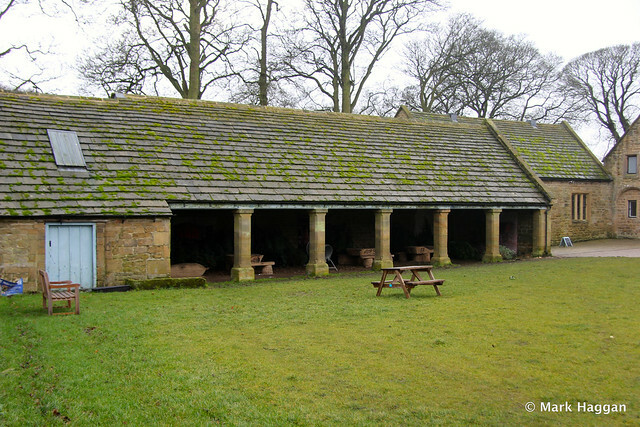 The old stables and blacksmith area have been converted to have a small visitors’ centre, and a café. 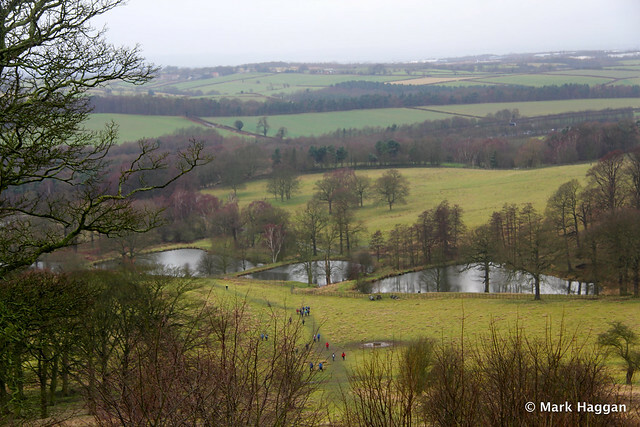 Given that it was a cold January afternoon, some soup and a hot drink was much appreciated. 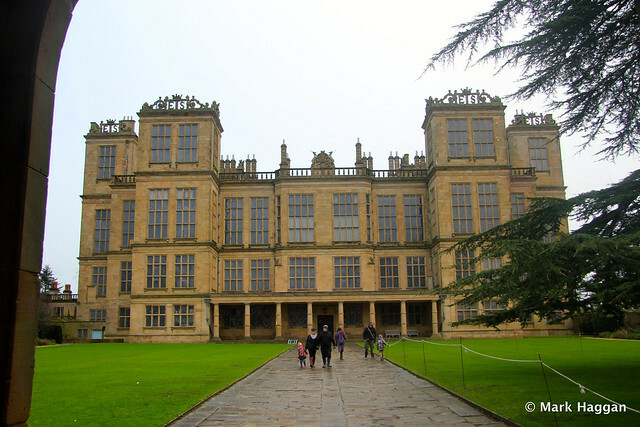 The Hall remained in the hands of Bess of Hardwick’s family until 1956, when the widow of the 9th Duke of Devonshire, Evelyn, Duchess of Devonshire, agreed to turn the hall over to HM Treasury in lieu of some of the inheritance tax due upon the death of the 10th Duke. 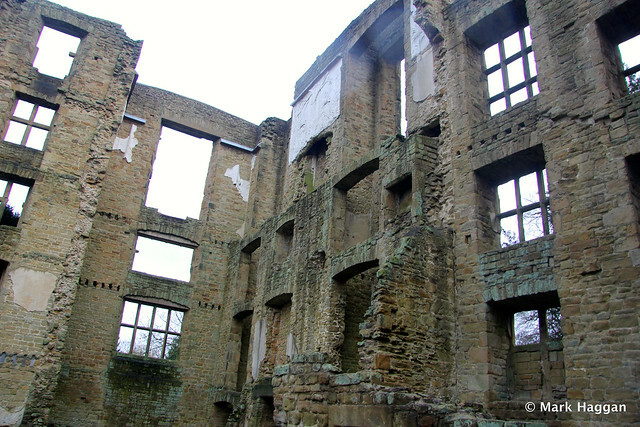 The Duchess remained in the Hall until she died in 1960, a year after it had passed into the hands of The National Trust. 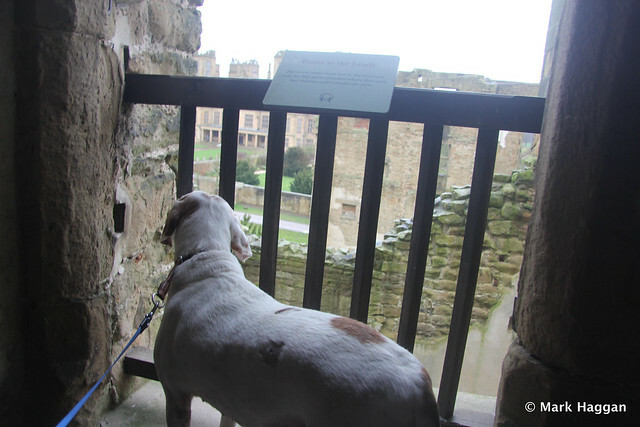 As I have mentioned before, one of the wonderful things about sites managed by English Heritage – alongside their invariable helpful and friendly staff – is that many are dog friendly, and the ruins of Old Hardwick Hall fall into that category. 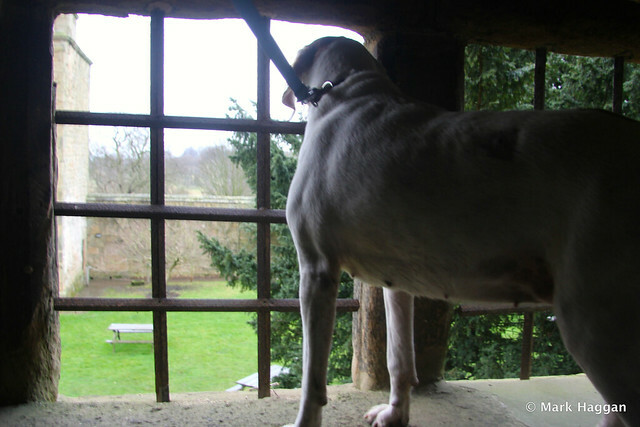 I took my dog Berta for a walk around the ruins. 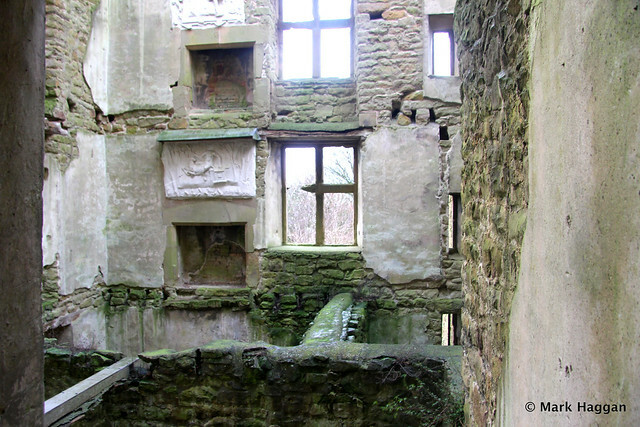 The ruins are actually in a reasonable state, and there are internal parts of the Old Hall that are accessible, and to dogs as well as people. 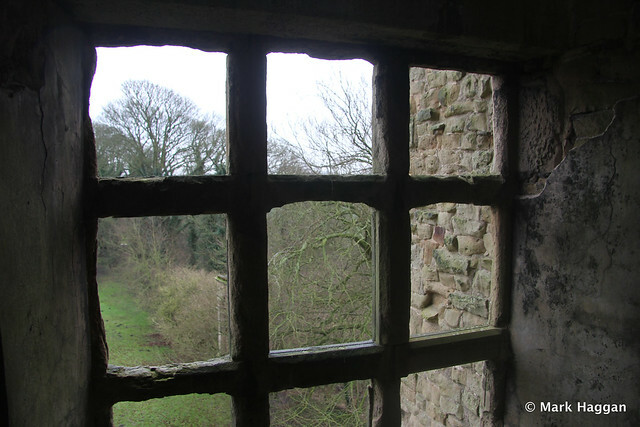 There are superb views across the nearby countryside from the Old Hall, with the grounds of site being easy to view from the top of the ruins. 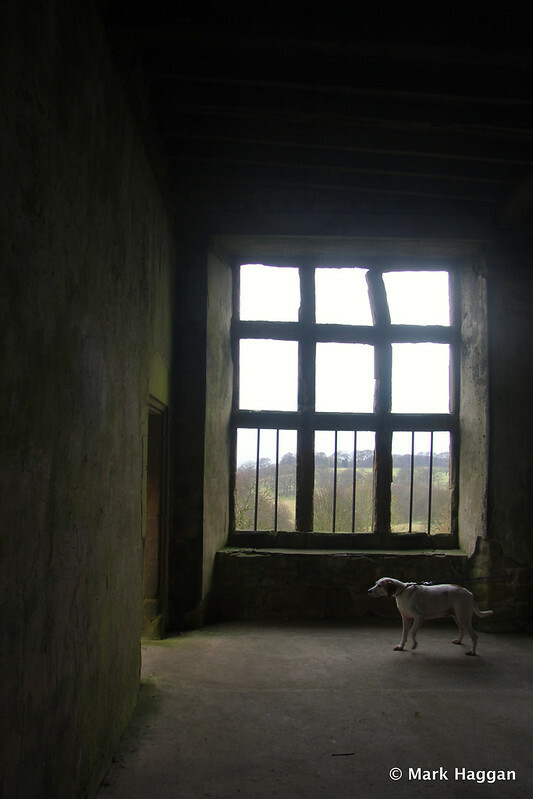 Berta seemed to enjoy her trip around the hall, up and down the stairs, and stopping to take in the view. 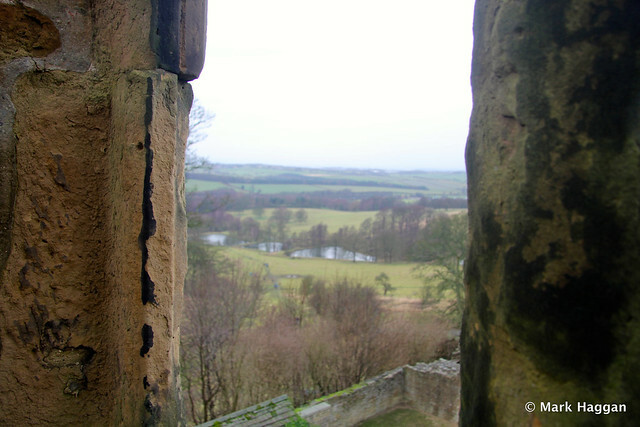 There is a great view of the Hall from the Old Hall. 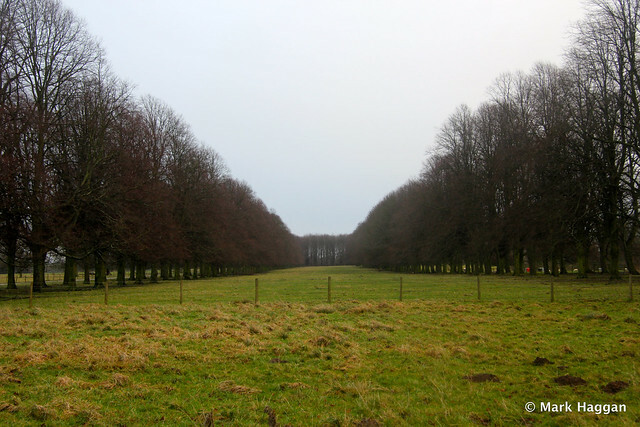 We also took a walk around the grounds of the Halls, which are extensive, and we met some other dog walkers in the area. 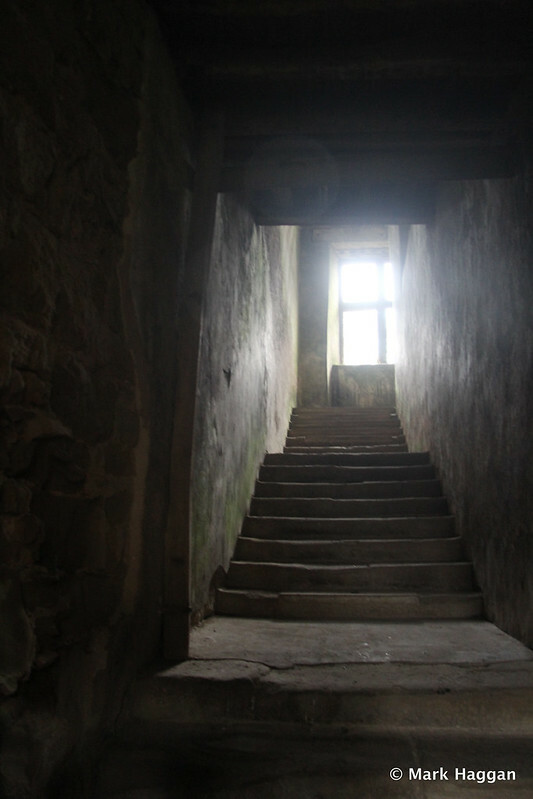 Although the Devonshire family have not been resident in the Hall for over fifty years now, there did seem to be some residents who were curious if slightly guarded about our walk around their home. I decided that it was best not to get into an argument with them. 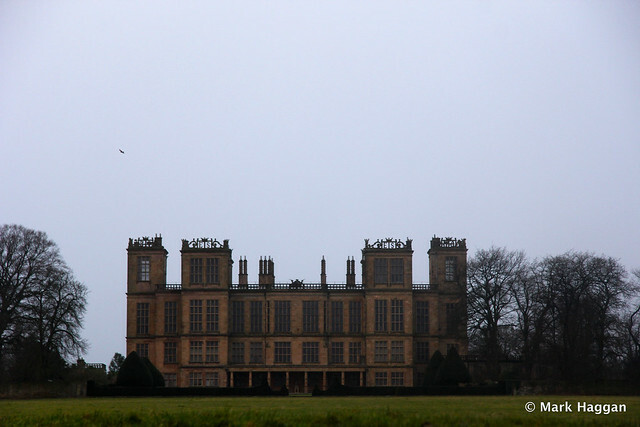 Berta, History, Travel, UK architecture, Derbyshire, English Heritage, Hardwick Hall, Harry Potter, National Trust, ruins. permalink.